When it comes to our animal friends these nonprofits in LA are doing a great job in helping them in any way they can. The Wylder Foundation believes it takes a village to save a dog. Our number one goal is to create a safe and inviting place for shelter dogs to live while they are looking for their perfect people. We feel that each dog deserves a chance to be exactly who they are and live their lives as joyful, healthy, fun companions to amazing humans. The foundation will take dogs from local kill shelters and rehabilitate them and get them ready for their new lives. The Best Friends Pet Adoption Center in Mission Hills has more than 400 dogs, cats, kittens and puppies from Los Angeles Animal Services shelters. 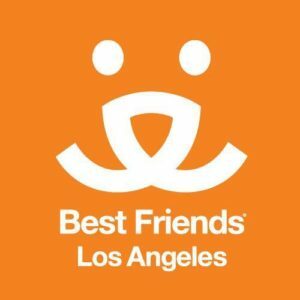 Best Friends Animal Society–Los Angeles is working collaboratively with animal rescue groups, city shelters and passionate individuals who are all dedicated to the mission of making Los Angeles a no-kill city. As part of this mission, Best Friends hosts adoption and fundraising events, runs the Best Friends Pet Adoption & Spay Neuter Center in Mission Hills, leads the NKLA initiative, provides the “Safe at Home” program out of the South LA city shelter, provides educational programs through the shelter like; “My Dog Has C.L.A.S.S.”, or Canine Life and Social Skills and the “Test Drive” program allows a potential adopter to take home one of our selected animals to foster for a seven-day period. The NKLA initiative is poised to serve as a model for how the entire nation can become no-kill, with no pet ever having to die in a shelter again. Since the launch of NKLA in 2012, the number of pets being killed in L.A. city shelters has decreased by 66%. They provide spay/neuter services where they are needed, and increase adoptions. Best Friends provides grants to NKLA’s 100 (and counting) coalition partners when they get more animals adopted than they did in the past, as well as funding spay/neuter projects for families who can’t afford to have their pets fixed. In 2015, the NKLA Coalition helped find homes for 27,100 dogs and cats, and Best Friends provided support for about 14,700 spay/neuter surgeries for L.A. pets. Saskia founded the non-profit Los Angeles Guinea Pig Rescue organization in 1999 located in Chatsworth, CA and she has been rescuing piggies and adopting them out ever since. Guinea Pigs are great, lovable and easy pets. 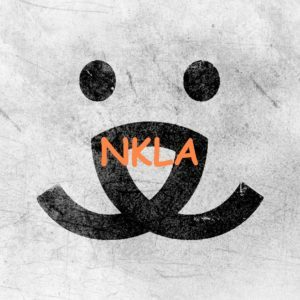 LA Guinea Pig Rescue is a one of a kind unique service and the best place to adopt a Guinea Pig. 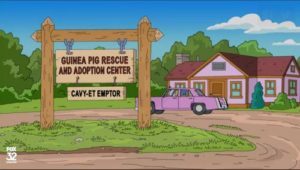 They also provide FREE nail clipping, health checks, ear cleansing and advice even if you did adopt your guinea pig from them. They also want to encourage you to adopt…no buy just like adopting is better than buying when it comes to dogs and cats. Resource Guide. Anytime is a great time to give Tomatoes so the LA Life Three Tomatoes have created the “Giving Back LA Style” Resource Guide of LOCAL charities we’ve chosen to highlight that might need an extra helping hand. We’re making the process of giving easier for LA tomatoes with lots of choices to cater to your giving preferences. Whatever peaks your interest just click the link and it will take you directly to the organization’s donation page. And if you know of a special local small nonprofit that deserves our attention don’t hesitate to give us a “Shout” tomatoes.